People ask me for podcast recommendations fairly often. I guess if you talk nonstop about something, eventually people will be like, “Well, I guess I should ask her something about podcasts so she’s not just talking at me about them for hours on end.” ANYWAY. One that I recommend every single time is You’re the Expert. I don’t just recommend it because I love it and I think everyone else should too (although I do believe that). I recommend it so often because it has such a great mixture of genres and topics. You like RadioLab? Great. You’ll like YTE. You like Comedy Bang Bang? You’ll like YTE. You like Invisibilia? Go download YTE. Stuff You Should Know? Try YTE. Wait, Wait Don’t Tell Me? You get the idea. I learned about You’re the Expert a few years ago from comedian Myq Kaplan, who has been a panelist on the show several times, and I was hooked immediately. Here’s why YTE is the best podcast you’re probably not listening to. The one thing I always tell people about the show is: you learn something, AND it’s hilarious. The premise of the show is that a panel of three comedians tries to guess what an expert in a certain field does for a living by playing a series of games. For example, there could be an expert on disco clams (actual episode), and the panel goes in having no idea what she does. 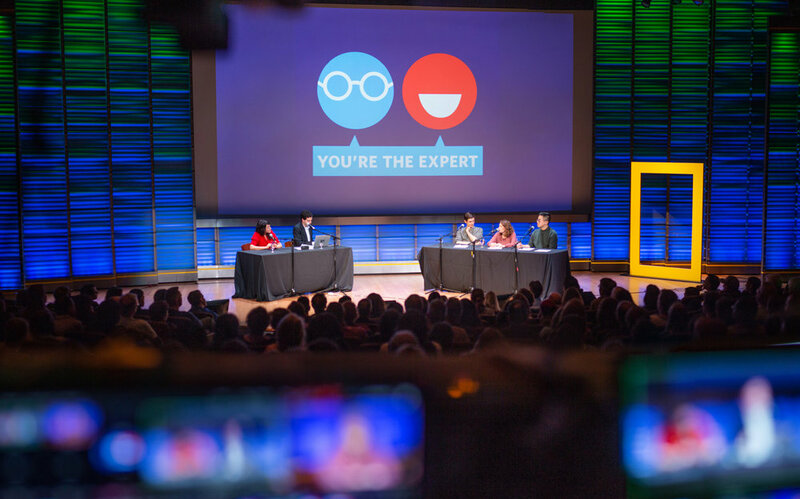 Once they discover his or her area of expertise in the first game, called “Why Are You Here?”, host and creator Chris Duffy leads the panelists and the expert through several other games to dig deeper into what the expert does and why it’s important. Because the panelists rarely have much – if any – knowledge in the expert’s field, their game responses are often laugh-out-loud funny. The “Jargon and Acronym Game,” or the JAG, elicits hilarious responses as the panelists try to guess what something like “double shoveling” (Evolution of Teeth episode) means. And a comedian guesses, “When your teeth curve in? It’s like when you shovel food into your mouth, but your teeth do a second shovel?” (That’s definitely not what it means.) When the expert explains the actual meaning, it’s often enlightening, and who doesn’t love to learn? There is typically a game that addresses the expert’s topic in recent news or pop culture, and you’re guaranteed to hear some weird stories from the far reaches of YouTube in this game. The games also get really creative. In the Killer Snails episode, Duffy introduces a game by asking: “Is this a way that snails kill their prey, or is it how someone dies in a James Bond movie?” After he reads a method of destruction, the panelists have to guess which category it falls into. There’s also a game that gets into the expert’s personal life, the jingle to which goes, “Do you, do you, do you have friends?” It not only humanizes these super brilliant scientists, but it also gives the comedians a chance to riff with them. Throughout the games, the panelists accumulate points, and the comedian with the most points at the end of the show is crowned the winner. It’s got that same laid-back competition style as Wait, Wait Don’t Tell Me in that it isn’t self-serious. Panelists often try to argue why their very wrong answer is actually correct, or how the question itself is flawed, to get points. It’s loosey-goosey, which is how I like this kind of competition. If you’re into standup comedy, this show is also a great place to discover comedians you haven’t come across yet. 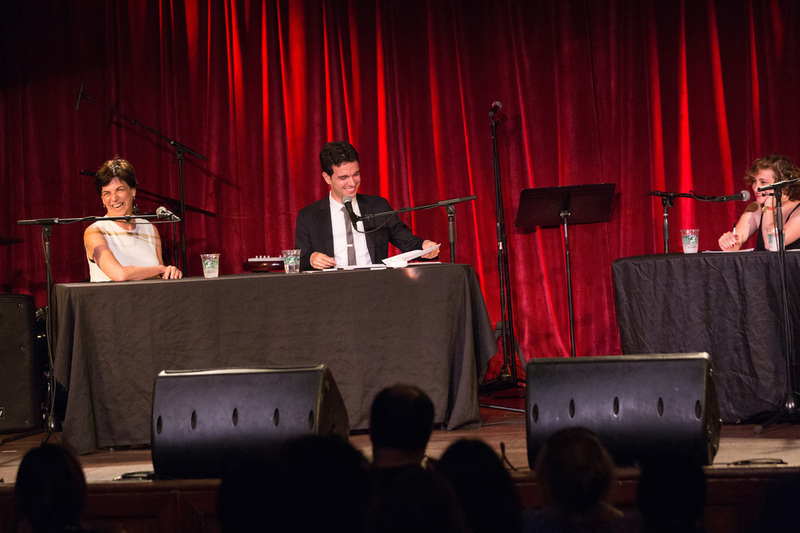 YTE is how I first heard Jo Firestone, Maeve Higgins and Aparna Nancherla a few years ago, three hilarious comedians who I otherwise might not have been introduced to. And if you don’t already know of him, Chris Duffy is just delightful. He’s got great rapport with the panel, the experts and the audience, and he’s lightning-quick with his quips. Give it a listen, and let me know what you think of You’re the Expert!